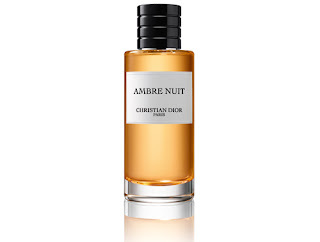 Dior Ambre Nuit was the last member of the original collection of "Colognes" (they were later labelled as edps, without any evident formulation changes). 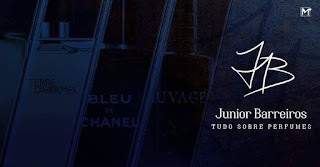 With the former three ones, Ambre Nuit is a exquisite amber fragrance that is perfectly structured and linked with its name, having a usual but at the same exclusive and exquisite aura, something that you don't see at some of the later launches of the expanded version of the collection (specifically, Vetiver, Cologne Royale and Milly La Foret have this problem). While Ambre Nuit could have been like Vetiver a heavy and straightfoward interpretation of the oriental amber execution, it's balanced to interact and show better the other notes around it while always keeping the focus on what names it, the amber. While the amber idea is present on all stages of the aroma, it plays different roles at every part, sometimes being more like a glowy aura surrounding the other notes and sometimes taking the main stage of the smell that emanates from skin. At the opening the grapefruit and bergamot notes form a classical start, which explore better the bitter facet of those materials, which gains and extra glow with a slightly bitter side of amber. They morph into a peppery rose heart, one that uses cleverly ambroxan, a material with a velvet and luminous amber impression but also with an abstract flower edge witch fits like a glove the slightly sour accent of the rose. This not a delicate rose aroma, instead is one that explores more the spicy idea, suggesting a exquisite flower touch to a formal amber suit. And after dividing the stage with rose, amber assumes the main role of the night at the end, becoming more sweet, balmy, slightly incensed, balanced with an abstract woody aroma which is pleasant and works perfectly counterbalancing the sweet dominance. And what could have been a dull but pleasant composition ends being a clever act of different ambered textures and intensities. Ambre Nuit has a formal aura but is balanced in a way that doesn't make it sound strange as an everyday scent with a good sillage and longevity, an ambered scent that is also to be considered if you are not so fond of the heavy and sweet aroma that appears on most of amber fragrances.